Featuring advanced aerodynamic design measures such as Flow Acceleration Channels and Noctua’s AAO frame, the NF-A4x10 is an award-winning, premium-quality quiet fan in size 40x10mm. The PWM version sports Noctua’s custom-designed NE-FD1 IC for fully automatic speed control via 4-pin fan headers and comes with a Low-Noise Adaptor as well as an OmniJoin Adaptor Set for easy connection to proprietary fan headers. Its superb running smoothness, reference-class SSO2 bearing and Noctua’s trusted premium quality make it an elite choice for the highest demands. Having received more than 50 awards and recommendations from the international press, Noctua’s NF-A4x10 has become a proven premium choice for 40mm cooling needs. Its renowned efficiency has convinced tens of thousands of customers all over the world. Thanks to its streamlined, compact motor design, the NF-A4x10's motor hub is smaller than with conventional 4cm fans. This allows for more blade surface area and thus contributes to the NF-A4x10's superior airflow and pressure performance. The NF-A4x10 impeller features suction side Flow Acceleration Channels. By speeding up the airflow at the crucial outer blade regions, this measure reduces suction side flow separation and thus leads to better efficiency and lower vortex noise. Supporting fully automatic PWM speed control, the NF-A4x10 PWM uses Noctua's novel, custom-designed NE-FD1 PWM IC that integrates Smooth Commutation Drive (SCD) technology. By providing smoother torque impulses, SCD suppresses PWM switching noises and thus makes the fan quieter at lower speeds. When the fan is set to 0% PWM duty cycle by the motherboard or PWM fan controller, it will stop. This makes it ideal for creating setups with semi-passive cooling that automatically turn the fans off and thus run completely silent at idle if thermals allow. The NF-A4x10 features the further optimised second generation of Noctua's renowned, time-tested SSO bearing. With SSO2, the rear magnet is placed closer to the axis to provide even better stabilisation, precision and durability. 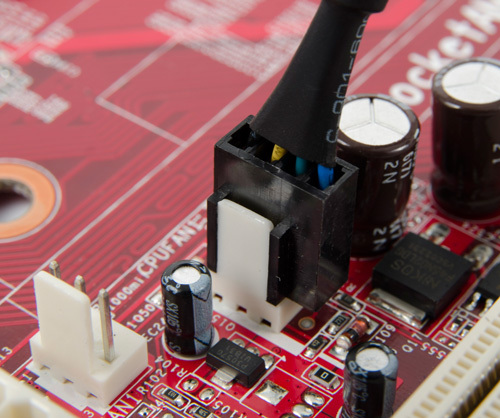 The NF-A4x10 PWM is supplied with a Low-Noise Adaptor (L.N.A.) that reduces the maximum fan speed from 5000 to 3700rpm. The L.N.A. can be used either to run the fan at a fixed speed of 3700rpm or to cap the maximum speed when using automatic PWM control. Many devices featuring 40mm fans use proprietary fan headers, so the NF-A4x10 comes with Noctua's OmniJoin™ adaptor set. Just cut the original fan's cable, fix it to the adaptor using the supplied 3M Scotchlok™ connectors and you can plug the NF-A4x10 to proprietary fan headers! The fan's short 20cm primary cable minimises cable clutter in typical applications while the supplied 30cm extension provides extended reach when necessary. 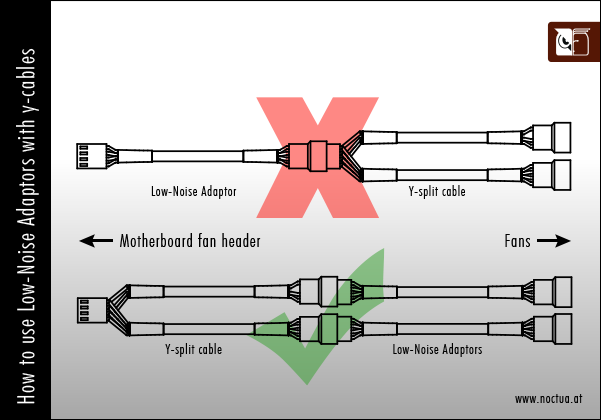 Both cables are fully sleeved and a 4-pin y-cable allows the connection of a second fan to the same PWM fan header for automatic control. Noctua fans are renowned for their impeccable quality and outstanding longevity. Like all Noctua fans, the NF-A4x10 features an MTTF of more than 150.000 hours rating and comes with a full 6-year manufacturer's warranty. The dedicated 12V and 5V PWM versions, are ideal replacement fans for 12V and 5V-based switches, routers, DVRs or other devices. Whilst you might not need all the accessories, it doesn't hurt to have them handy. Remember that fan splitters can be a life saver on a mini-ITX motherboard where they only typically have 2 fan headers, one for the CPU and one for the chassis. Overall, I believe Noctua makes an excellent product... If you need good air flow, low noise and have a rack mounted server,router, DVR,media player and NAS enclosure that needs some better fan, I could definitely recommend what Noctua has to offer here. Mit dem NF-A4x10 5V PWM & NF-A4x10 hat Noctua seine A-Serie um zwei weitere 40-mm-Lüfter erweitert, deren Einsatzgebiet auf den ersten Blick gerade bei dem 5-Volt-Modell erst einmal recht speziell ist. Schaut man sich jedoch in einem gut ausgestatteten Haushalt seine Hardwarekomponenten etwas genauer an, so kann man dort schnell einmal auf das ein oder andere Gerät stoßen, in dem ein 40-mm-Lüfter arbeitet, der eventuell sogar mit nur mit 5V betrieben wird. Genau an dieser Stelle ist das Einsatzgebiet der neuen 40-mm-Lüfter von Noctua zu finden. Die beiden Lüfter können hier nicht nur als Ersatz für einen defekten Lüfter dienen, sondern auch dafür sorgen, das Geräuschlevel der entsprechenden Komponente zu senken. How can I check if my 4-pin fan header supports PWM? Can I run 4-pin PWM fans on 3-pin fan headers? 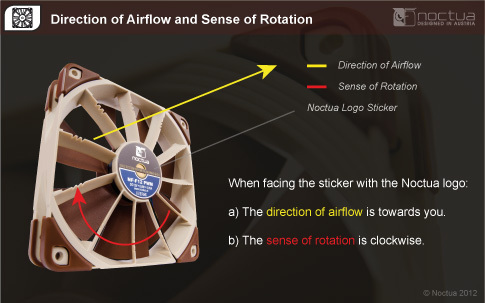 Where can I find a technical documentation and specifications of the PWM speed control system of Noctua’s fans? 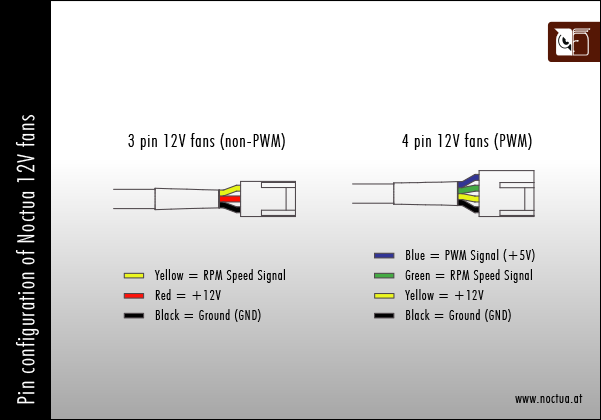 PWM fans come with a 4-pin connectors for fully automatic speed control via your mainboard’s 4-pin PWM fan headers. Please note that 4-pin fans can also be connected to your mainboard’s 3-pin fan headers though. When connected to 3-pin fan headers, the fan will run at full speed (unless the mainboard supports voltage based speed control). While using PWM (Pulse Width Modulation) based fan speed control in PC environments is usually straightforward and does not require any background knowledge, it can be vital when it comes to controlling fans via PWM in other environments. Please refer to our specification white paper for a detailed technical documentation of the PWM speed control features of Noctua’s 4-pin PWM fans. Detailing aspects such as connector types, pin configuration or RPM speed signal output as well as signal specifications and circuit design questions, it enables engineers to implement PWM based speed control for Noctua fans in custom circuit designs and applications.